Click on graphic to see other instruments! This glass mug has a very nice weight to it. 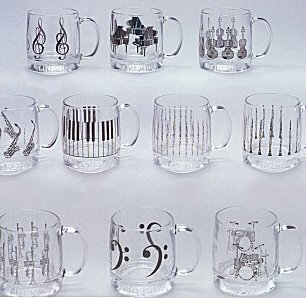 A great reasonable gift for your favorite music teacher or music student. Please select your preference when you add to cart.